Maritime workers aboard fishing vessels are vulnerable to numerous hazards, including fish processing equipment accidents. Seafood processing workers typically labor for long hours and handle huge quantities of fish on a daily basis. Much of their work requires the use of equipment with sharp corners and metal cutting blades, such as bait choppers and augers. Workers are also at risk from knives and other sharp tools required to prepare fish for freezing and packing. Faulty equipment. Refrigeration unit workers may be exposed to ammonia gas leaks, with inhalation leading to brain damage, eye injuries, and permanent lung damage. Lack of safety guards. Safety guards are sometimes removed from fish processing equipment, and unprotected machinery can cause serious cuts, scratches, and penetrating wounds. In the most severe accidents, a lack of guards may lead to the amputation of fingers, hands, or limbs. Worker fatigue. Fishing seasons are short, requiring fish processors to work long hours with little rest. Sixteen-hour days are typical, frequently leading to worker fatigue, physical and mental exhaustion, lack of concentration, and slowed reaction times. Consequently, fish processors may have accidents that cause back injuries, knee pain, and shoulder damage. Exposure to bacteria. Skinning and gutting fish can trigger allergic reactions, prompt skin infections due to exposure to bacteria on the fish, or result in lung infections when this bacterium is inhaled. 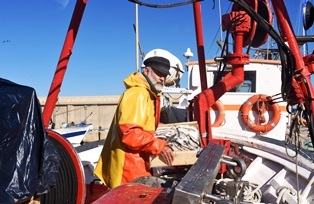 If you were injured while working with or around fish processing equipment, you might be entitled to compensation under the Jones Act. This may include damages for lost wages, loss of earning capacity, medical expenses, and pain and suffering. An experienced maritime attorney can help you pursue a claim and receive the benefits you deserve. To learn more about what the law offices of Steve M. Lee, P.C., can do for you, visit us on Facebook.